Because of the commencement of major roadworks in the Prince Rock area we are experiencing severe delays to our running times, please accept our apologies for the impact this is having on our services. We are currently working with the relevant authorities and council departments to try and resolve this issue. Further updates and notices will be posted as and when we able to provide more information. Unfortunately due to the Eastern Corridor works diversions and lane closures at Cattedown there are delays to services. We are doing our best to get to you as soon as we can and apologise for any inconvenience caused due to circumstances beyond our control. There may be gaps in coverage again over the next week as my new PC is finally going back to Mesh for them to fix it as I have now given up on it and totally lost confidence in it. When it works it is brilliant - but you never know when its going to crash again. I will be reverting back to the old machine so any gaps shouldn't be too long. 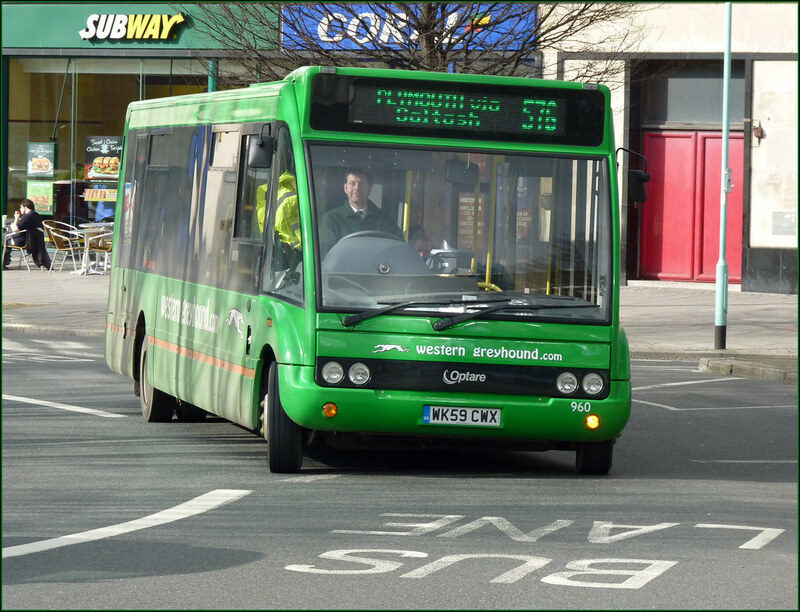 I did not personally experience the first day of the closure of Gdynia Way. I have, however, heard reports from 2 friends and it appears that it can only be described as a complete disaster. In the first case my friend had to travel in from Wembury for 9am as she works in a shop in the City Centre. Having allowed extra time for the road works she arrived over half an hour late, the journey taking about an hour and a half. Her return journey in the early afternoon took nearly two hours, as she remarked to me yesterday, "I am now dreading going to work"
Another friend of mine was travelling on a bus at about 5pm from the City Centre to Elburton. He says the bus was nearly full. He overheard 2 First Bus drivers commenting upon the fact that they had only been able to complete a fraction of their schedules due to the traffic. After about an hour on the bus my friend who is 20 got off and walked the rest of his journey. This would not be such a practical alternative for the older customers on this service. Whilst we must accept that from time to time major road works will take place in the City, a potential problem for this side of the City is that there is no viable park and ride option. Many people travelling in will be from areas that are not so strongly served by the bus companies. Yesterday it appears that the bus may not have been able to offer much of an alternative either. Hopefully these problems can and will be resolved, but as I said at the start of this, thankfully I was able to stay at home yesterday!